2019/02/11 13:34:52 0A42DFEE c (dvbapi) Demuxer 0 restarting decodingrequests after 1 ms with 3 enabled and 6 disabled ecmpids! Возвращаюсь с просьбой о включении 4К, там уже частенько и АПЛ кажут. Я думаю даже за отдельную плату желающие согласятся. Сам готов за пакет их 4К каналов платить дополнительно. Скажите canal+ 4k будет работать, у вас есть в планах? Или это будет не скоро? Просто я думаю купить тюнер 4k но если не будет этого канала то особо и смысла нет покупать. 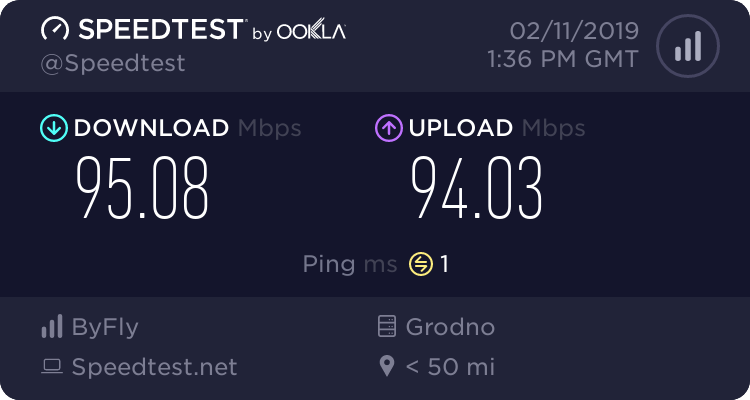 По нтв там смотреть в 4k нечего одна ерунда идёт. почему во время футбола проблемы с Polsat Premium 2 3..
2019/04/02 11:52:05 45C68BFD c (dvbapi) Demuxer 0 restarting decodingrequests after 2 ms with 6 enabled and 3 disabled ecmpids! 2019/04/02 11:52:08 45C68BFD c (dvbapi) Demuxer 0 restarting decodingrequests after 2 ms with 6 enabled and 3 disabled ecmpids! 2019/04/02 11:52:11 45C68BFD c (dvbapi) Demuxer 0 restarting decodingrequests after 2 ms with 6 enabled and 3 disabled ecmpids! 2019/04/02 11:52:15 45C68BFD c (dvbapi) Demuxer 0 restarting decodingrequests after 2 ms with 6 enabled and 3 disabled ecmpids! 2019/04/02 11:52:18 45C68BFD c (dvbapi) Demuxer 0 restarting decodingrequests after 2 ms with 6 enabled and 3 disabled ecmpids! 2019/04/02 11:52:21 45C68BFD c (dvbapi) Demuxer 0 restarting decodingrequests after 2 ms with 6 enabled and 3 disabled ecmpids! 2019/04/02 11:52:25 45C68BFD c (dvbapi) Demuxer 0 restarting decodingrequests after 2 ms with 6 enabled and 3 disabled ecmpids! 2019/04/02 11:52:28 45C68BFD c (dvbapi) Demuxer 0 restarting decodingrequests after 1 ms with 6 enabled and 3 disabled ecmpids! 2019/04/02 11:52:31 45C68BFD c (dvbapi) Demuxer 0 restarting decodingrequests after 1 ms with 6 enabled and 3 disabled ecmpids! 2019/04/02 11:52:35 45C68BFD c (dvbapi) Demuxer 0 restarting decodingrequests after 1 ms with 6 enabled and 3 disabled ecmpids! AXN BLACK сервер 22 mkqn8jd8.xdream.org, точно так же и канал 13ulica hd гляньте пожалуйста, периодически зависает и потом снова идет, на fox hd были фризы, но вроде все норм. 2019/04/02 22:33:21 68314138 c (dvbapi) Demuxer 0 no enabled matching ecmpids -> decoding is waiting for matching readers! 2019/04/02 22:33:31 68314138 c (dvbapi) Demuxer 0 no enabled matching ecmpids -> decoding is waiting for matching readers! 2019/04/02 22:33:36 68314138 c (dvbapi) Demuxer 0 no enabled matching ecmpids -> decoding is waiting for matching readers! 2019/04/02 22:33:46 68314138 c (dvbapi) Demuxer 0 no enabled matching ecmpids -> decoding is waiting for matching readers! 2019/04/02 22:33:56 68314138 c (dvbapi) Demuxer 0 no enabled matching ecmpids -> decoding is waiting for matching readers! 2019/04/02 22:34:01 68314138 c (dvbapi) Demuxer 0 no enabled matching ecmpids -> decoding is waiting for matching readers! 2019/04/02 22:34:37 68314138 c (dvbapi) Demuxer 0 no enabled matching ecmpids -> decoding is waiting for matching readers! 2019/04/02 22:34:37 68314138 c (dvbapi) Demuxer 0 no suitable readers found that can be used for decoding! 2019/04/02 22:34:41 68314138 c (dvbapi) Demuxer 0 no enabled matching ecmpids -> decoding is waiting for matching readers! 2019/04/02 22:34:48 68314138 c (dvbapi) Demuxer 0 restarting decodingrequests after 10777 ms with 6 enabled and 3 disabled ecmpids! 2019/04/02 22:35:30 68314138 c (dvbapi) Demuxer 0 restarting decodingrequests after 2 ms with 6 enabled and 3 disabled ecmpids! 2019/04/02 22:35:34 68314138 c (dvbapi) Demuxer 0 restarting decodingrequests after 2 ms with 6 enabled and 3 disabled ecmpids! 2019/04/02 22:35:38 68314138 c (dvbapi) Demuxer 0 restarting decodingrequests after 2 ms with 6 enabled and 3 disabled ecmpids! 2019/04/02 22:35:41 68314138 c (dvbapi) Demuxer 0 restarting decodingrequests after 2 ms with 6 enabled and 3 disabled ecmpids! 2019/04/02 22:35:45 68314138 c (dvbapi) Demuxer 0 restarting decodingrequests after 2 ms with 6 enabled and 3 disabled ecmpids! 2019/04/02 22:35:48 68314138 c (dvbapi) Demuxer 0 restarting decodingrequests after 2 ms with 6 enabled and 3 disabled ecmpids! 2019/04/02 22:35:52 68314138 c (dvbapi) Demuxer 0 restarting decodingrequests after 2 ms with 6 enabled and 3 disabled ecmpids! 2019/04/02 22:35:55 68314138 c (dvbapi) Demuxer 0 restarting decodingrequests after 2 ms with 6 enabled and 3 disabled ecmpids! 2019/04/02 22:36:05 68314138 c (dvbapi) Demuxer 0 restarting decodingrequests after 2 ms with 6 enabled and 3 disabled ecmpids! 2019/04/02 22:36:08 68314138 c (dvbapi) Demuxer 0 restarting decodingrequests after 2 ms with 6 enabled and 3 disabled ecmpids! 2019/04/02 22:36:12 68314138 c (dvbapi) Demuxer 0 restarting decodingrequests after 2 ms with 6 enabled and 3 disabled ecmpids! 2019/04/02 22:36:15 68314138 c (dvbapi) Demuxer 0 restarting decodingrequests after 2 ms with 6 enabled and 3 disabled ecmpids! 2019/04/02 22:36:19 68314138 c (dvbapi) Demuxer 0 restarting decodingrequests after 2 ms with 6 enabled and 3 disabled ecmpids! 2019/04/02 22:36:22 68314138 c (dvbapi) Demuxer 0 restarting decodingrequests after 2 ms with 6 enabled and 3 disabled ecmpids! AXN BLACK и 13ulica hd идут нормально. Попробуйте перезагрузить свое оборудование. Спасибо, завтра приеду домой тогда проверю ещё раз, вроде всё перегружал и каналы отсканировал и все оставил по сидам, может что новые версии оскама и викарда, поставлю всё по новой и отпишусь. 2019/04/18 23:08:57 40853591 c (dvbapi) Demuxer 0 restarting decodingrequests after 1 ms with 2 enabled and 7 disabled ecmpids! 2019/04/18 23:08:58 40853591 c (dvbapi) Demuxer 0 restarting decodingrequests after 1 ms with 2 enabled and 7 disabled ecmpids! 2019/04/18 23:09:00 40853591 c (dvbapi) Demuxer 0 restarting decodingrequests after 1 ms with 2 enabled and 7 disabled ecmpids! 2019/04/18 23:09:01 40853591 c (dvbapi) Demuxer 0 restarting decodingrequests after 1 ms with 2 enabled and 7 disabled ecmpids! 2019/04/18 23:09:02 40853591 c (dvbapi) Demuxer 0 restarting decodingrequests after 1 ms with 2 enabled and 7 disabled ecmpids! 2019/04/18 23:09:03 40853591 c (dvbapi) Demuxer 0 restarting decodingrequests after 2 ms with 2 enabled and 7 disabled ecmpids! 2019/04/18 23:09:04 40853591 c (dvbapi) Demuxer 0 restarting decodingrequests after 2 ms with 2 enabled and 7 disabled ecmpids! 2019/04/18 23:09:06 40853591 c (dvbapi) Demuxer 0 restarting decodingrequests after 2 ms with 2 enabled and 7 disabled ecmpids! 2019/04/18 23:09:07 40853591 c (dvbapi) Demuxer 0 restarting decodingrequests after 1 ms with 2 enabled and 7 disabled ecmpids! 2019/04/18 23:09:08 40853591 c (dvbapi) Demuxer 0 restarting decodingrequests after 1 ms with 2 enabled and 7 disabled ecmpids! 2019/04/18 23:09:09 40853591 c (dvbapi) Demuxer 0 restarting decodingrequests after 2 ms with 2 enabled and 7 disabled ecmpids! 2019/04/18 23:09:10 40853591 c (dvbapi) Demuxer 0 restarting decodingrequests after 1 ms with 2 enabled and 7 disabled ecmpids! 2019/04/18 23:09:12 40853591 c (dvbapi) Demuxer 0 restarting decodingrequests after 1 ms with 2 enabled and 7 disabled ecmpids! 2019/04/18 23:09:13 40853591 c (dvbapi) Demuxer 0 restarting decodingrequests after 1 ms with 2 enabled and 7 disabled ecmpids! 2019/04/18 23:09:14 40853591 c (dvbapi) Demuxer 0 restarting decodingrequests after 2 ms with 2 enabled and 7 disabled ecmpids! 2019/04/18 23:09:15 40853591 c (dvbapi) Demuxer 0 restarting decodingrequests after 2 ms with 2 enabled and 7 disabled ecmpids! 2019/04/18 23:09:16 40853591 c (dvbapi) Demuxer 0 restarting decodingrequests after 2 ms with 2 enabled and 7 disabled ecmpids! 2019/04/18 23:09:18 40853591 c (dvbapi) Demuxer 0 restarting decodingrequests after 1 ms with 2 enabled and 7 disabled ecmpids! 2019/04/18 23:09:19 40853591 c (dvbapi) Demuxer 0 restarting decodingrequests after 1 ms with 2 enabled and 7 disabled ecmpids! 2019/04/18 23:09:20 40853591 c (dvbapi) Demuxer 0 restarting decodingrequests after 1 ms with 2 enabled and 7 disabled ecmpids! 2019/04/18 23:09:21 40853591 c (dvbapi) Demuxer 0 restarting decodingrequests after 2 ms with 2 enabled and 7 disabled ecmpids! 2019/04/18 23:09:22 40853591 c (dvbapi) Demuxer 0 restarting decodingrequests after 1 ms with 2 enabled and 7 disabled ecmpids! 2019/04/18 23:09:24 40853591 c (dvbapi) Demuxer 0 restarting decodingrequests after 1 ms with 2 enabled and 7 disabled ecmpids! 2019/04/18 23:09:25 40853591 c (dvbapi) Demuxer 0 restarting decodingrequests after 1 ms with 2 enabled and 7 disabled ecmpids! 2019/04/18 23:09:26 40853591 c (dvbapi) Demuxer 0 restarting decodingrequests after 1 ms with 2 enabled and 7 disabled ecmpids! 2019/04/18 23:09:27 40853591 c (dvbapi) Demuxer 0 restarting decodingrequests after 1 ms with 2 enabled and 7 disabled ecmpids! 2019/04/18 23:09:28 40853591 c (dvbapi) Demuxer 0 restarting decodingrequests after 2 ms with 2 enabled and 7 disabled ecmpids! 2019/04/18 23:09:30 40853591 c (dvbapi) Demuxer 0 restarting decodingrequests after 1 ms with 2 enabled and 7 disabled ecmpids! 2019/04/18 23:09:31 40853591 c (dvbapi) Demuxer 0 restarting decodingrequests after 1 ms with 2 enabled and 7 disabled ecmpids! 2019/04/18 23:09:32 40853591 c (dvbapi) Demuxer 0 restarting decodingrequests after 1 ms with 2 enabled and 7 disabled ecmpids! 2019/04/18 23:09:33 40853591 c (dvbapi) Demuxer 0 restarting decodingrequests after 1 ms with 2 enabled and 7 disabled ecmpids! 2019/04/18 23:09:34 40853591 c (dvbapi) Demuxer 0 restarting decodingrequests after 2 ms with 2 enabled and 7 disabled ecmpids! 2019/04/18 23:09:36 40853591 c (dvbapi) Demuxer 0 restarting decodingrequests after 2 ms with 2 enabled and 7 disabled ecmpids! 2019/04/18 23:09:37 40853591 c (dvbapi) Demuxer 0 restarting decodingrequests after 1 ms with 2 enabled and 7 disabled ecmpids! 2019/04/18 23:09:38 40853591 c (dvbapi) Demuxer 0 restarting decodingrequests after 2 ms with 2 enabled and 7 disabled ecmpids! 2019/04/18 23:09:39 40853591 c (dvbapi) Demuxer 0 restarting decodingrequests after 1 ms with 2 enabled and 7 disabled ecmpids! 2019/04/18 23:09:40 40853591 c (dvbapi) Demuxer 0 restarting decodingrequests after 2 ms with 2 enabled and 7 disabled ecmpids! 2019/04/18 23:09:42 40853591 c (dvbapi) Demuxer 0 restarting decodingrequests after 2 ms with 2 enabled and 7 disabled ecmpids! 2019/04/18 23:09:43 40853591 c (dvbapi) Demuxer 0 restarting decodingrequests after 1 ms with 2 enabled and 7 disabled ecmpids! 2019/04/18 23:09:44 40853591 c (dvbapi) Demuxer 0 restarting decodingrequests after 2 ms with 2 enabled and 7 disabled ecmpids! 2019/04/18 23:09:45 40853591 c (dvbapi) Demuxer 0 restarting decodingrequests after 2 ms with 2 enabled and 7 disabled ecmpids! 2019/04/18 23:09:46 40853591 c (dvbapi) Demuxer 0 restarting decodingrequests after 2 ms with 2 enabled and 7 disabled ecmpids! 2019/04/18 23:09:48 40853591 c (dvbapi) Demuxer 0 restarting decodingrequests after 2 ms with 2 enabled and 7 disabled ecmpids! 2019/04/18 23:09:49 40853591 c (dvbapi) Demuxer 0 restarting decodingrequests after 2 ms with 2 enabled and 7 disabled ecmpids! 2019/04/18 23:09:50 40853591 c (dvbapi) Demuxer 0 restarting decodingrequests after 2 ms with 2 enabled and 7 disabled ecmpids! 2019/04/18 23:09:51 40853591 c (dvbapi) Demuxer 0 restarting decodingrequests after 2 ms with 2 enabled and 7 disabled ecmpids!